Pattern cutting is a great way to make many identical parts on the bandsaw. All you need is a rigid pattern and shop-made follower. The follower is simple, consisting of an arm and a base. The arm cantilevers from the base toward the blade. 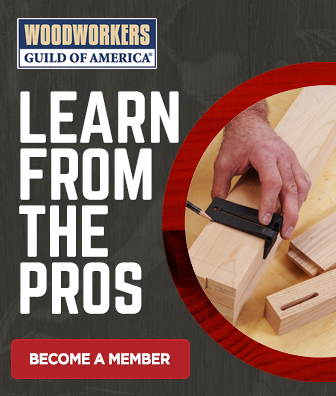 The base should be long enough that it’s easy to clamp to your bandsaw table. The blade end of the arm needs to have a notch nibbled into it. The notch should be slightly wider than the blade you’ll be using (I generally do this work with a 1/4 in. blade) and 3/16 in. deep. Round, slightly, the notch end of the arm. The arm should be glued and nailed to the base. 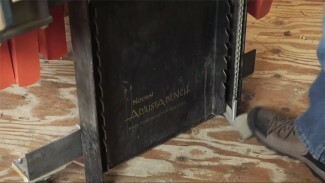 The thickness of the base should be slightly greater than the thickness of the material you’ll be cutting. Position the follower so the notch surrounds the blade, with the blade centered in the notch. The distance from the blade to the tip of the follower controls how much waste you’ll leave on the outside of the cut. When you’re learning to use the follower set this of 1/8 in. As you get more comfortable with it you can reduce that to as little as 1/16 in. Clamp the follower to the table. The rigid pattern must be fastened to the project material. Double-faced tape, available at woodworking specialty stores, works great. Make certain the parts are clean of dust, or the tape won’t stick. Use enough to hold the parts, but not so much that they’re incredibly difficult to separate later. With the tape in place push the pattern and project material together to make certain they’ll stay together. When cutting with the follower in place you’ll still have to steer, but the follower makes cutting much easier than freehand cutting. As you steer the part, think in terms of keeping the arm of the follower perpendicular to the edge of the pattern. Use a slow feed rate. Leave the pattern adhered to the material. 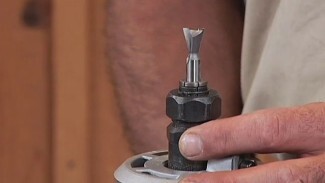 Set up a flush trim router bit in a router table and use it to finish the work. The bearing on the bit will ride on the pattern and the cutter will remove the small amount of waste that projects past the pattern. The flush trim router bit provides a very easy way to remove the waste and leave behind a smooth surface. Having a hard time getting a good grip on your screwdrivers? Use this quick tip from Dave Munkittrick to make your screwdriver handle larger and easier to grip.